Pluto, a rather small planet, was discovered in 1930. Because Pluto is so far away, it doesn’t have as major of an effect on your life as closer or large planets do. However, it can affect your life in subtle ways that can make large changes in the way that you think, socialize, and act over time. Pluto likes to control creation as well as destruction. Do not doubt Pluto’s power in astrology, as it affects each and every one of us. Pluto in the 12 houses symbolizes power in different forms. When Pluto is in the first house you are bound to live life more intensely. Other people will be able to sense this vibe around you. However, you will still want to keep parts of your life private. Try to keep your confidence level high during this time. 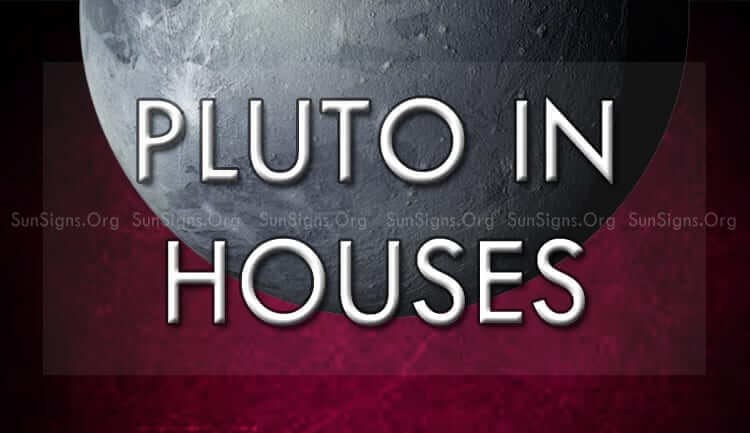 Your instincts will be sharp when Pluto is in the second house. You will be more materialistic as well, taking care of your possessions and trying to make as much money as you can. There may also be a large change or loss in your life during this period. You are likely to be skeptical of what you hear or read when Pluto is in the 3rd house. You will over-think situations in order to find a pattern or deeper meaning that often isn’t really there. Your communication skills will be strong during this time. When Pluto is in the fourth house, your shyness from your childhood may return. You will act more protective about yourself, your secrets, and the people whom you care about. However, try to break out of your shyness. It is not likely that you will succeed with it. You will be much more creative when Pluto is in the fifth house. You are likely to start working on a new art project, or even finding a new romance or adding a spark to your current love life. This can be great for your social and business life. When Pluto is in the 6th house in your birth chart you are likely to succeed in work or in school, but you’ll still be more private than public. You will be great at finding and solving problems that others may not notice. This will be great for your career. Your relationships are the focus of your life when Pluto is in the seventh house. You may fight more with your friends, family, or partner because one person may want more power than the other. This could also cause problems at work. Try to keep your relationships steady. You will become more curious when Pluto is in the eighth house. You will want to figure out the answers to questions that may not have even been asked yet. Pseudoscience, the paranormal, and things that are considered taboo will interest you the most. When Pluto is in the 9th house you will stick to what you believe in. Others may try to argue with you about your ideas, but you are likely to enjoy fighting to prove your point. However this is not a good stance to take at work or in school. Be careful to pick your fights. Your individuality will guide you when Pluto is in the tenth house. Just being yourself will get you far when it comes to socializing, working, being at school, and in romantic relationship Your unique personality will help you to stand out and get far in life. Pluto in the eleventh house is a bit confusing. You are likely to stay on your own, as large crowds can make you uncomfortable. Change will enter your life; try to prepare for this. If you do not assert yourself, then you will not be likely to succeed in conversation. Finally, Pluto in the twelfth house will reopen your interest to everything unusual and strange. You will spend much of your time philosophizing during this time. There may be death close by or just before that will disrupt your life. Do not let this make you doubt yourself.